We are manufacturers with a long tradition, are ISO-9001 certified, have state-of-the-art production technology as well as innovative products. provide the solid basis for our global success. 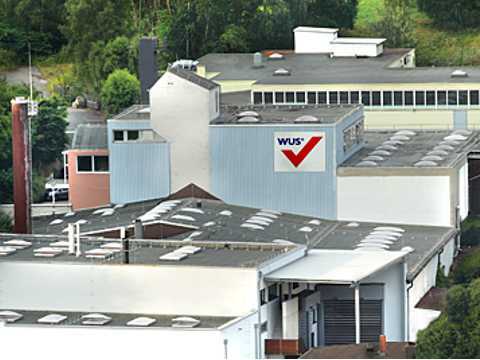 Innovation, creativity and quality are the distinguishing features of WUS products. Our roof safety hooks, metal roofing tiles, gutter brackets, downspout clamps, special solutions, snow guard systems, pipe clamps/brackets, sprinkler clamps, mounting/fitting brackets and profiles and the matching accessories are known all over the world. In the stamped parts and sheet metal/shaped product sectors we develop and fabricate together with our clients new and customised products. Our own in-house departments, development, construction, tool making and production, work hand-in-hand. Just as do our roof and plumbing products, our stamped parts and sheet metal/formed products are finished with the appropriate surface plating/finishing. WUS is your competent partner. Quick delivery service and site support through qualified sales staff. Reliable, value-for-money products mean cost reductions for the client. High safety for the installer through high quality standards in regard to precision, easy installation and load bearing capacity. Professional service and advice from qualified in-house staff. Solutions for special installations with tailor-made products upon request.